For reasons known mostly to the folk who run Twitter, it is almost impossible to delve back in time to check back on old tweets. This also made it difficult to extract copies for our own archive and retrieve a chronicle of updates. To Twitter's credit they have recently allowed users to download their entire back catalogue of status history, meaning we are now able to complete our personal archive. We have now made every single tweet available for your trawling pleasure, should you ever feel the need for a little social media nostalgia. 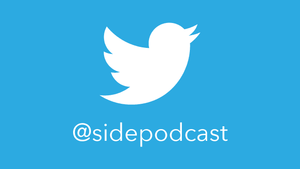 The Sidepodcast collection of 140 character entries dates back to 2007 and contains over 40,000 status updates, favourites and retweets. Each entry links back to the original post and are listed in reverse-chronological order. New tweets are added daily ensuring we have a usable and useful resource to check back on status updates gone by. It would be remiss of us at this juncture not to look back on our very first tweet, posted 21 March 2007. Busy editing a video we shot while visiting The Donington Grand Prix Collection. We'll likely be adding more functionality to the tweet archive when we get a little more time, having a complete set makes it that much more interesting. With Christine now having taken control of the list of useful F1 Twitter accounts, there have been a couple of improvements that make following them all the more essential. For reasons entirely unfathomable, Twitter restrict the maximum number of accounts available in any list to just 500. Given the site's popularity amongst F1 drivers, teams, fans and media it didn't take very long to reach that limit. For 2013 it is therefore worthwhile taking a look at the list of F1 circuits, F1 employees, F1 media and F1 suppliers all of which contain a diverse selection of fantastic people and companies worth keeping track of. These lists make for a great starting point when looking for additional insight into the world of Formula One. Fans of the sport have never been better connected. If there are any additions or omissions throughout the season, be sure to let Christine know! Next post Happy Milkybar Day!